This is ingenious! Why don't more tents have them? I left the rail hanging loops installed and it fits nicely with the collapsed tipi. 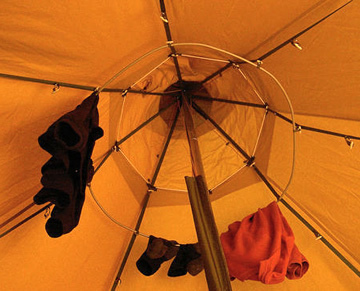 The drying rail is handy for lightweight lanterns as well and drying clothes. Click the button below to add the Tent Drying Rail Set - 15 to your wish list.